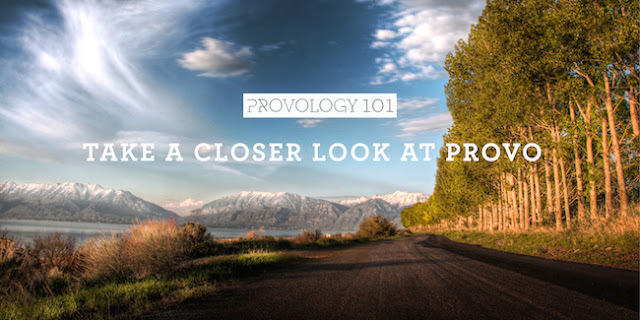 Provology 101, a series of classes that give a behind-the-scenes look at how Provo City runs, has given City departments the chance to show and tell about what they do for Provo. One of the participants, Anona Sobczak, has been sharing her experiences on Facebook and gave us permission to share them with you. Below the glistening sands of the MTC beach volleyball courts lies a buried behemoth, a structure of immense antiquity and cryptic beauty. 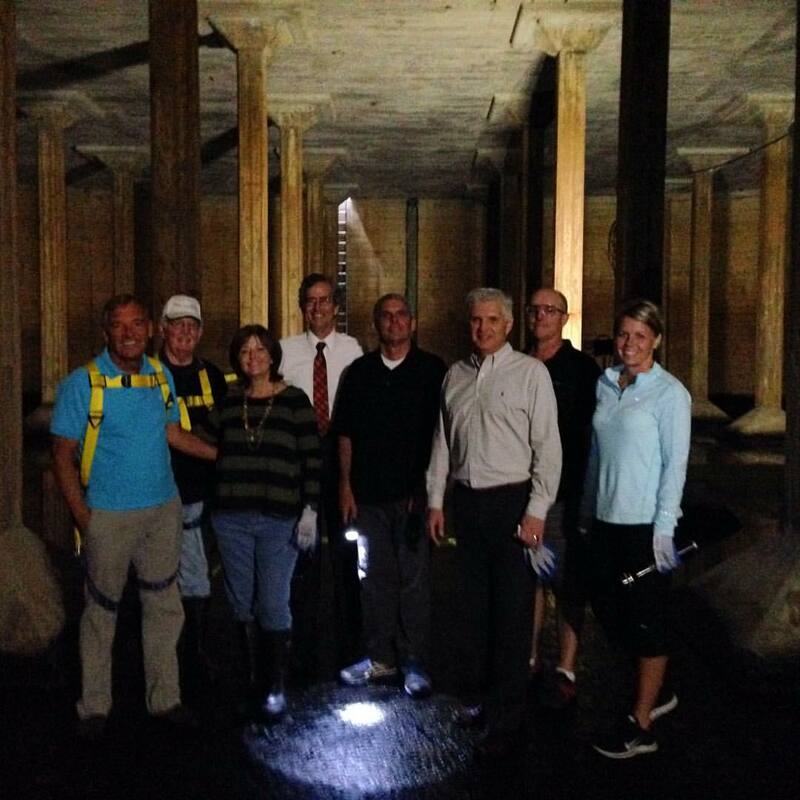 This little-known piece of construction is the oldest water tank in Provo City, built out of concrete in 1930. It's the size of a football field and holds 5 million gallons of water. (I didn't have my trusty notebook with me for this portion of our class, so the numbers may be slightly off). At it's peak usage in the summer, Provo City uses about 52 million gallons of water. Usually our water comes from wells and springs throughout the city, but in the summer we start to draw from the river and nearby reservoirs where we have water rights. This water is all treated before it's mixed in with the spring water, however, it doesn't taste quite as good so in the summer, residents start calling Public Works reporting that something seems off about their water. The particular tank we toured fills and empties twice during peak usage. The water is stored there for high demand times of the day so we can send water out quickly rather than drawing directly on the wells and springs. So back to our adventure...we were told that we would have to harness up and clip into a line to climb the ladder down into the underground tank. I thought that seemed a bit over-cautious, but figured it was just government liability concerns. That was until I saw the ladder. As I stared down through a small, square hole cut out of concrete at the rusted rungs of rebar embedded into the 40 foot high wall, I decided that a harness was actually a good idea after all. I guess back in the 1930's they weren't really that safety-conscious. I was proud of the 87-year-old member of our group who went down. I hope I'm that adventurous at that age! Fortunately for the sake of our tour, the tank wasn't full of water. A little while ago, Public Works drained the tank to do some maintenance on it. 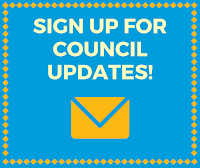 The ceiling is crumbling a bit, among other things, but the city has been saving up for a new tank and other needed additions to our water system by raising the water bill recently. We actually have one of the lowest utility rates out of all the surrounding cities, which I thought was impressive. So I made it to the bottom of the ladder and started sloshing around in the inch or two of water left on the floor. There were a few portable lights set up, and we got flashlights to explore the dark forest of concrete pillars supported the ceiling every 10 feet or so. It was a very other-worldly scene. Since the water isn't filtered after it leaves the tank, someone asked if we were going to be drinking the water we were standing in. Thankfully not! They will spread powdered chlorine on all surfaces, fill the tank to the top, drain it, treat the chlorine water, drain it into Utah Lake, then start using the tank as normal. When we were talking above-ground, someone asked about putting in a secondary water system and recycling water. Apparently we would have to rip up 350 miles of road in our city and put in a new piping system separate from our culinary water system. It's not a financially sound idea at this time, and works better for new cities that can plan as they build out. Thanks to Public Works for the work that went into putting on the presentations and tours, especially getting a large group into (and out of!) the water tank one by one!